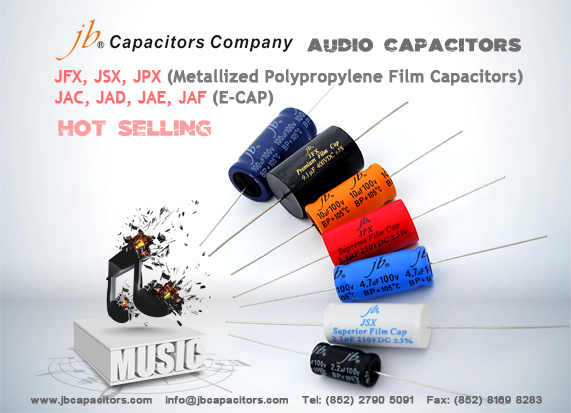 For audio capacitors, jb launch three new series metallized polypropylene film capacitors and four new series e-caps those will bring your audio system a great performance. If you are looking for a full range of audio capacitors that come with small-sized, high quality, good performance, and competitive price, don’t miss us! 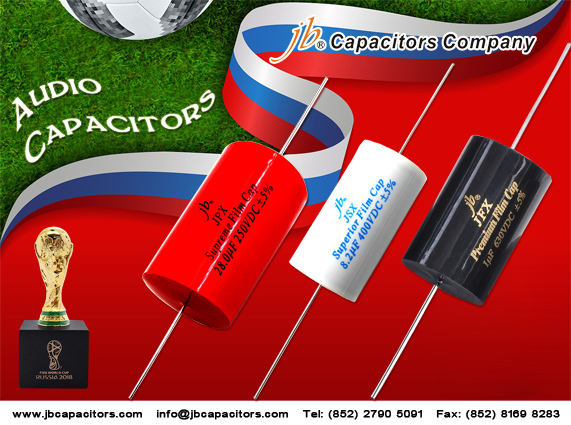 jb Capacitors Company Enjoy the FIFA 2018 Together with you! Are you enjoying the FIFA games now? Wish you enjoy the world-cup games during this exciting Summer! At this exciting moment, jb Capacitors Company would like to cheer for you! 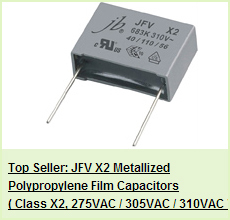 During this hot summer, we would like to offer very competitive prices for you for below hot components, Enjoy Football Games, buy the best Capacitors!! Our JFX & JSX series are spoke highly by our customers, in their test our quality is very reliable and sound result is very good. We did many tests to the capacitors supplied by your company, in order to check both sound result and reliability. 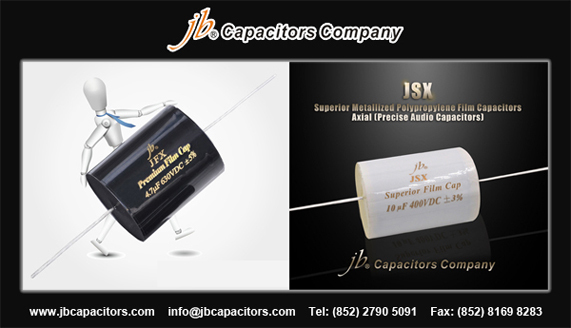 Both capacitors JFX Premium and JSX Superior have shown good reliability characteristics and passed our tests well. When we did sound tests, the capacitors of the JFX Premium serie was very good, and can compete with the famous capacitors made by the company MUNDORF. The electrolytic capacitors have shown a good reliability as well, and quite good sound result. From our tests, we found that the JNK serie was superior to the JNG series. We are looking forward to receive your request of capacitors for quote. We can provide very flexible MOQ for customer to test the market at the beginning. We can provide reliable quality and competitive price. We can provide free samples to show our high quality. 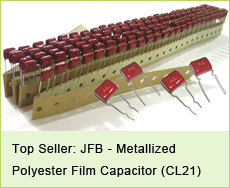 We not only produce these audio capacitors, but also provide many other kinds of capacitors with very good prices and short delivery, reliable quality and good customer service. Send us your request please, you will receive very satisfied offer from us. We are very glad to announce an encouraging news to all of our jb Capacitors customers that our JSX and JSX get high compliment from a senior audio specialist. Under recommendation of one of our French customer, we know Mr Tony Gee since year 2014, Mr Tony is very generous in helping us, not only for testing the capacitors , but also in sharing some technology expertise. Hope below valuable original comment can help our customer in choosing a right audio capacitor. "Here are my results after several months of listening to the capacitors:"
The jb Capacitors JFX Premium sounds quite organised when compared with other standard MKP's in this price range. Like all basic MKP's thay can get a bit muddled when complex progamme material is fed to them but they do have a certain tidyness to them which makes them go further before that sets in. The JFX Premium is reasonably well balanced and neutral and in a positive way nothing sticks out. 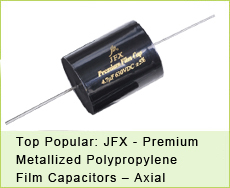 If you are looking for a basic MKP at a very fair price then the jb Capacitors JFX Premium is a good contender. 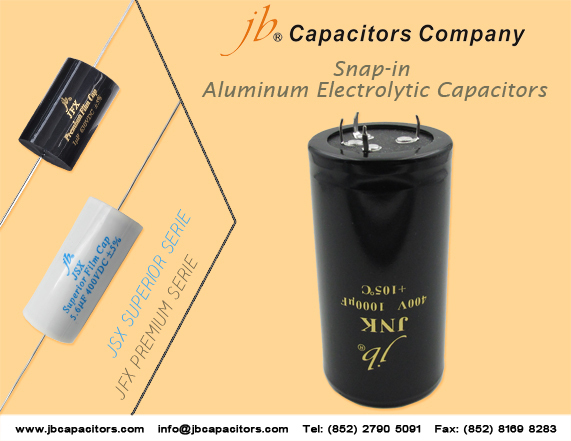 The jb Capacitors JSX Superior is similar in character to the old black JSX type but now has added clarity making them a little more open sounding. This works especially well on recordings of jazz-trio's or other small ensembles making it easier to pick out the details. The Clarity Cap SA and ESA will give you more image depth and richer harmonic overtones and the Mundorf EVO Oil will give you sharper leading edges to notes but it must be stated that those capacitors are in a higher price bracket. It is just to give you an idea in what sound quality range we are looking at here. Personally I actually prefer the JFX Premium in being a tad more expressive and coherent but I could imagine the JSX Superior to work well if you are looking for a more clean presentation.